Here’s an obscure reference. There’s a flash movie called “Rock and Roll McDonald’s” that’s from an underground artist in Chicago, now deceased I believe, named Wesley Willis. (Earworm warning; listen at your own risk.) 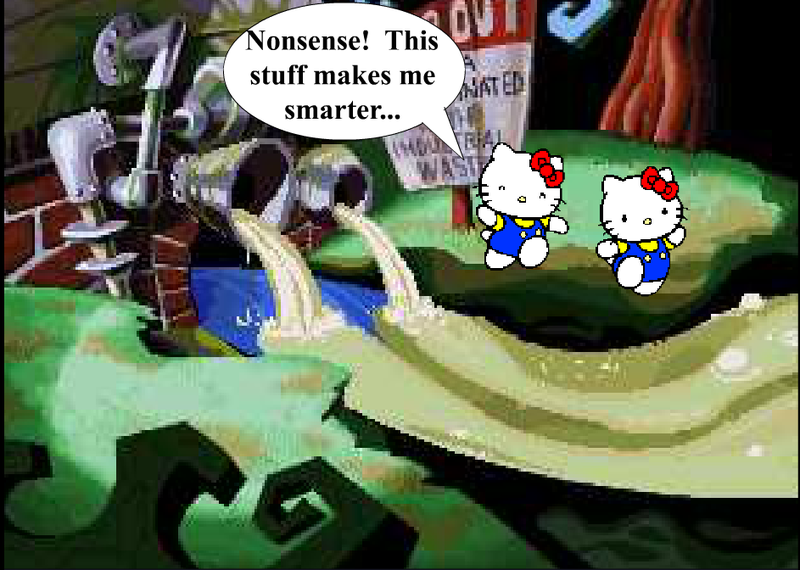 The scene pictured here from the little movie has a cartoon kitty drinking what appears to be toxic runoff. Warned by his companion about this he comments “Nonsense! This stuff makes me smarter…” That said, here’s what I’ve been drinking some mornings lately in lieu of breakfast. I follow it in a couple of hours with a morning snack. Shake in shaker bottle and voila. No more yawning.